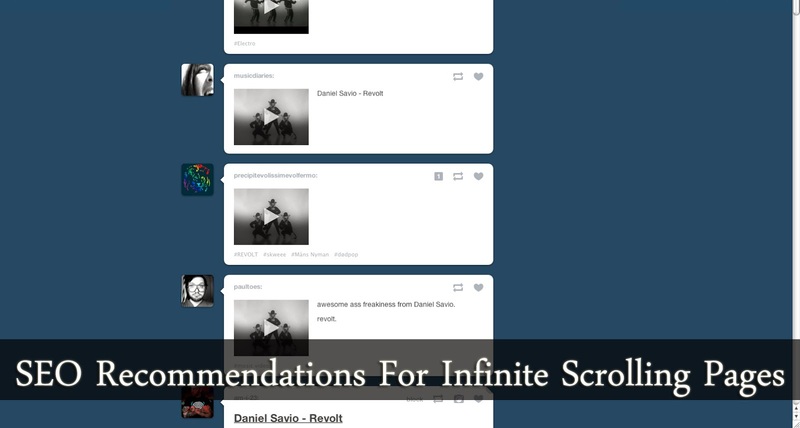 Infinite scrolling is becoming very popular in blogs these days. Any content stream can make use of infinite scrolling to improve the reading-experience for the readers, who do not need to click on any buttons to view more stories. But that's as far as user-experience goes. What about search robots? They don't exactly have a field day when they see a constant stream of content. Crawlers often run into problems because they can't emulate normal user-behaviour. As a result, some of your content might be inaccessible from search results. In order to make sure that search crawlers can easily access the information on an infinite scroll page, here are a few SEO recommendations from Google. 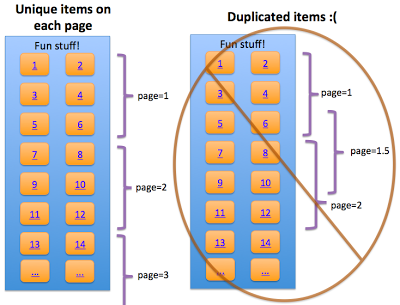 These will help you optimize such pages and maximize their effect. When dividing content, make sure each division is long enough to contain sufficient information, but not so long as to make it difficult for users to find the desired information, or to compromise your page load time. When breaking down content into component pages as described above, be sure to use the pagination markup. Use the rel="prev" and rel="next" values in the <head> section of your website to indicate the previous and the next page for your content breakdown. Following the link below to learn about using these values in greater detail. SEO Settings For rel="prev" and rel="next"
Always use full URLs for each component page. This minimizes the potential for configuration errors. For example, the following can be considered as acceptable URL structures. However, a URL such as www.example.com/seo#3 is not a very good solution, since it lacks structure, and doesn't offer a solid reference for a search crawler. Make sure your URL structures are correct, and that the URLs can take users directly to a piece of content, without the same cookie or user history. In the end, always check that page values adjust as the user scrolls up or down. Verify that pages that are out-of-bounds in the series return a 404 response (i.e. www.example.com/category?name=seo&page=999 should return a 404 response if there are only 998 pages of content). Investigate potential usability implications introduced by your infinite scroll implementation. This article is very helpful to many new bloggers around the corner, who are struggling hard to gain audience! Qasim Zaib! It was wonderful post. You are really going great job. Why don't you think to write a guest post on a blog of pagerank 3? Jump Inside.